3D Testing Culture Decreases The Cruelty Towards Animals. The pharmaceutical industry is moving away from animal testing towards cheaper and more efficient technologies. For example, LiverChip technology created an alternative model of testing which uses a 3D cell culture platform that mimics the architecture and physiology of a human being, which was significantly less expensive and more efficient than animal testing. 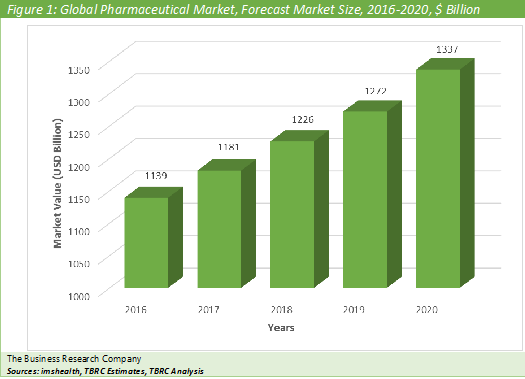 PHARMACEUTICALS MARKET TO GROW TO $1.3 TRILLION BY 2020 ACCORDING TO THE BUSINESS RESEARCH COMPANY. The Business Research Company expects the pharmaceuticals market to grow to $1.3 trillion in 2020. The Americas was the largest region in the pharmaceutical market in 2016, accounting for $515 billion. Pfizer was the largest biopharmaceutical company with net revenues of $48.9 billion for the financial year 2015. Pfizer’s strategy is to improve the ability to innovate in biomedical R&D and develop a new generation of high-value, highly differentiated medicines and vaccines. 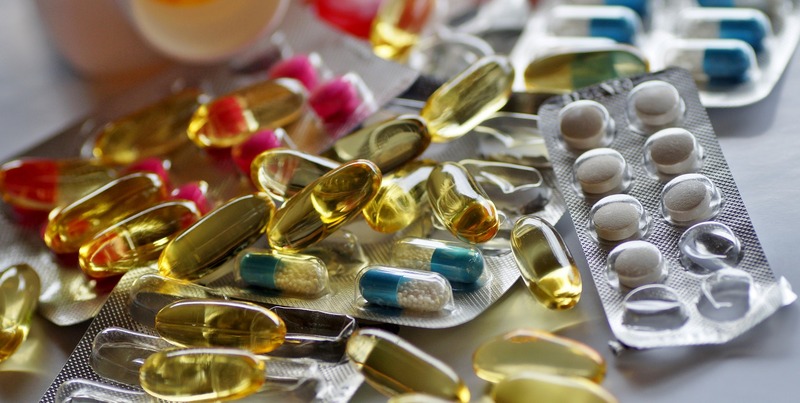 The pharmaceuticals industry develops drugs to diagnose, cure, treat or prevent diseases. Pharmaceutical companies produce both generic and branded drugs for medications. Pharmaceuticals are subjected to various laws and regulations that deal with patenting, testing, safety, efficacy and marketing of drugs. Pharmaceutical companies produce biological products, pharmaceutical preparations and medicinal and botanical products. The chart below shows the year-on-year growth of the global pharmaceutical market during 2016 - 2020. Biological products are medicinal products made of natural sources: human and animal cells or microorganisms. Most biological products are intended to treat diseases or medical conditions and some biological products are used to prevent or diagnose diseases. Biological products include vaccines, blood products for transfusion, allergy shots, human cells and tissues used for transplantations such as tendons, ligaments and bones. Pharmaceutical preparations are drugs intended for human or veterinary use presented in their finished dosage form. Companies engaged in pharmaceutical preparations are involved in drug discovery and development, manufacturing, drug processing and sales and marketing of drugs for human or veterinary use. Tablets, ampoules, capsules, ointments and medicinal powders and solutions are the various pharmaceutical preparations produced by pharmaceutical companies. Pharmaceuticals Global Market Briefing is a detailed report giving a unique insight into this market. The report is priced at $750 for an individual user. To use across your office the price is $1000 and $1350 if you wish to use across a multinational company. About The Business Research Company Visit TheBusinessResearchCompany.com, mail info@tbrc.info or call +447443439350 or +918897263534 or +919160996838 for more information on this and many other titles. The Business Research Company is a market research and intelligence company, which excels in company, market and consumer research. It has research professionals at its offices in the UK, India and the US as well a network of trained researchers globally. It has specialist consultants in a wide range of industries including manufacturing, healthcare, chemicals and technology. The Business Research Company's management has more than 20 years of varied business research experience. They have delivered hundreds of research projects to the senior management of some of the world's largest organizations.